Delighted to be returning to Fondation Royaumont next season (4-8 August 2018) to deliver a course on Mozart Piano works with the amazing Kris Bezuidenhout. It looks like there’ll be clavichords as well as fortepianos (now, we could do a lot of damage with those….). It’s always a real pleasure to play at Music in New Malden – a concert series in South West London now in its 8th series. There’s a large, knowledgeable and enthusiastic audience, and performers get the chance to talk to them afterwards about our instruments and musical enthusiasms. Today (a concert in aid of the excellent charity, Music in Hospitals), I was playing in a programme of baroque recorder sonatas with James Brookmyre, and Jane Booth, in the unusual role of continuo bass on a ‘basson de chalumeau (effectively and early bass clarinet). This is, I think, only the second time Jane’s instrument (copied from an original of c.1710) has been heard in the UK. It is a wonderfully solid bass instrument. My own contribution in the middle of the concert? Bach’s D minor French Suite, which I’ll be reprising on Wednesday evening, along with the 4th, and some fantasias and sonatas by Mozart and Haydn on a Clementi square piano, in Pesaro, at the Sala dei Marmi, following two days teaching at the Rossini Conservatoire. Delighted to announce the release of my new CD of Haydn Sonatas, recorded last year in St Oswald’s, Lythe, North Yorkshire on a marvellous new fortepiano by Johannes Secker (2011 – a copy of a 5-octave grand by Johanne Andreas Stein). The CD is on the Devine Music label. Producers Roy Mowatt and Jane Booth. Engineer Chris Mowatt. 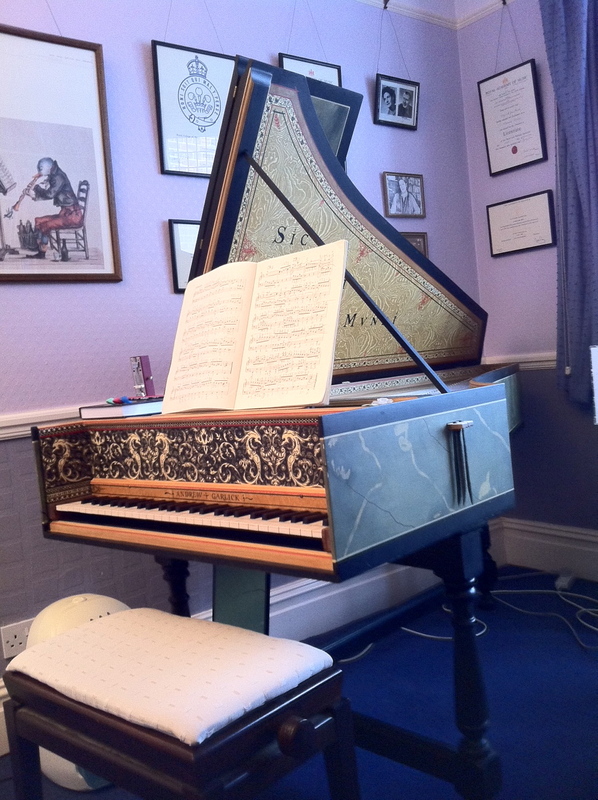 Piano tuned and maintained by Johannes Secker. Many thanks to all of them – and also to the PCC of St Oswald’s for allowing me to make the recording in one of my all-time favourite spaces! All around us was a violent storm brewing, yet inside was perfect tranquility. Sneaton Castle at Whitby, North Yorkshire, is home to St Hilda’s Priory, an Anglican monastic community celebrating its centenary in 2015. The Chapel was the perfect setting for our fundraising concert for Lythe Chamber Music 2016 and we are so grateful to the Sisters of St Hilda’s not just for allowing us to use their beautiful space for this event, but for the warmth of their welcome. It was great that a handful of them came to the concert too, taking a break for a couple of hours from hosting the Archbishop of York who is presently based there during a pilgrimage of the North York Moors. Despite the storm, a good sized audience revelled in the wonderful acoustic which was a joy to perform in. (How fortunate the Sisters are to enjoy that every day in their sung services!) Jane and I purloined a couple of Handel Op.1 recorder sonatas for baroque clarinet, which she played on a new instrument by Guy Cowley whose tonal qualities were described by one audience member during the interval as a cross between a flute and a trumpet! Its sweetness, clarity and agility were partnered by a magnificent Flemish harpsichord by Johannes Secker (2007). I’ve performed on this machine several times now, and it just goes from strength to strength. It is surely one of the finest instruments available presently in the North of England and in the intimate acoustic of St Hilda’s, it took us on quite a journey through Bach’s French Suites nos.4, 1 and 6. Thanks to the generosity of house present, we raised enough to support a couple of bursaries for student’s on next summer’s course which will be the third incarnation of Lythe chamber music, 31 July – 4 August 2016, in which, for the first time, we extend the remit to include classical string repertoire, c.1770-1820. And just to cap it all, when Jane and I arrived home, we discovered that we had each been nominated as Community Heroes in the BBC Surrey/BBC Sussex Arts and Music 2015 awards! Delighted to have been invited to give some seminars and masterclasses at the Fondation Royaumont, Centre Culturelle de Rencontres next August on English Virginal Music. This takes me back to the years of my PhD thesis (far too long ago!) when I was immersed in editing the consort music of Tomkins (1572-1656) and writing an extended study of his instrumental music, including a huge output for keyboard. Much influenced by the works of his likely teacher, Byrd, and colleague Bull and Gibbons, Tomkins was fundamentally a conservative composer, though making occasional forays into more idiosyncratic keyboard textures. Subsequently, I re-edited his Complete Keyboard Works for Music Britannica (2010), building on the pioneering work of Stephen Tuttle and Thurston Dart. It’s great to get back into playing this challenging and brilliantly inventive repertoire at Royaumont. It’s great to be able to say that, on 9 October 2015 The Mozart Project was named iBook of the Year, and Best Musical Work at the 2015 World iBook Author Conference (Nashville Tenessee). I was privileged to work with a fantastic team at Pipedreams Media on two chapters (Concertos, and Chamber Music), and as performer on numerous video and audio tracks within the book (also featuring Ensemble DeNOTE). The Mozart Project was the ideal format I had been waiting for, to deliver state-of-the-art, research-informed work on Mozart in text, sound and vision all at once. Pipedreams richly deserve these awards, and I’m very pleased indeed for the book’s originators, James Fairclough and Harry Farnham (who won yet another award, “Creative Professional of the Year” in their own right) – and of course for my fellow authors! 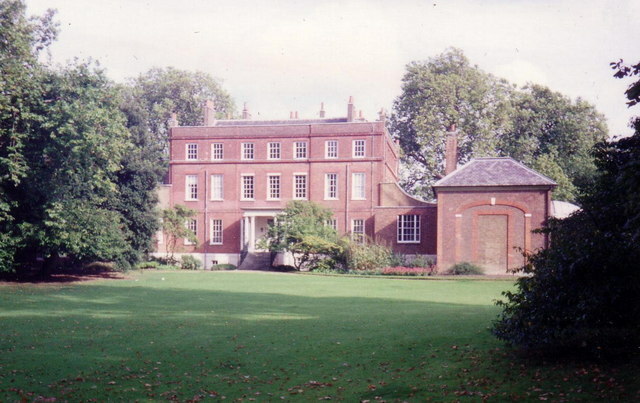 Bushy House (above), a former Royal residence in Teddington, is now part of the National Physical Laboratory and home to the NPL’s series of lunchtime concerts. I’m happy to be doing the next one, on Thursday 1 October when I’ll be playing the first three of Bach’s French Suites. Audiences at the NPL’s concerts are used to hearing their fine 1911 Steinway grand, but on 1 October I’ll be playing these wonderful French Suites on a single-manual Andrew Garlick harpsichord (below), made in 2000 and copied from an original Ruckers in Antwerp (1639). Nor will these be in equal temperament. If you’d like to find out which temperament (I’ll decide on the day! ), come along and give the concert a try: 12.45 next Thursday, Bushy House TW11 0EB. On Tuesday evening, I shall be playing the second of Bach’s French Suites in a concert at Senate House, University of London as part of a celebration of 10 years of the Institute of Musical Research. The IMR, of which I was Director, 2009-11, is the youngest of the 10 institutes of the School of Advanced Study at London University. 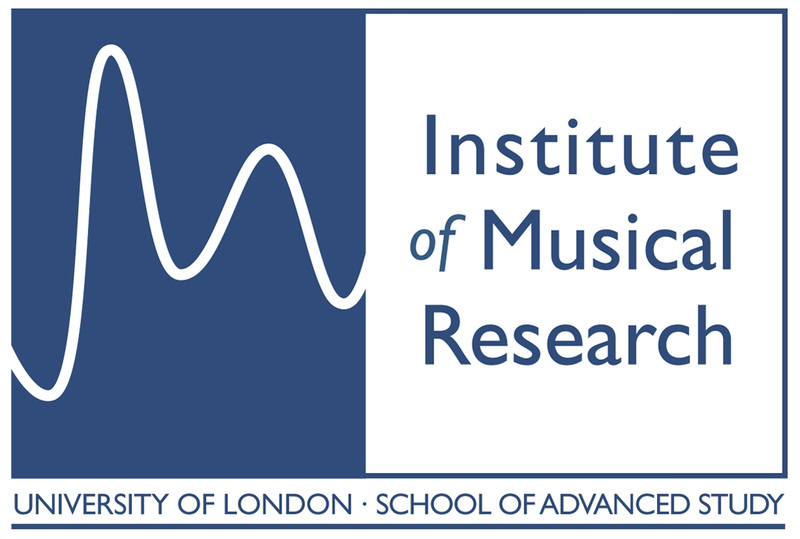 SAS was a natural home for the UK’s national music research institute, and within it, IMR has made a tremendous contribution to musical scholarship during the past decade, at home and abroad. But from 1 August it will transfer out of SAS to the Music Department of Royal Holloway, under the stewardship of the excellent Dr Geoff Baker. At Royal Holloway, the IMR will, I’m sure, begin to flourish once again in an environment where musical scholarship in all its breadth is properly understood and valued. It is remarkable, given the saddening combination of financial and management pressures that have been wielded within HE generally in recent times, that my successor as Director, Dr Paul Archbold, has been able to develop the IMR so thoughtfully since 2011, introducing significant new strands of research documentation. I pay tribute to his brilliance as Director, and likewise that of my predecessor, Prof. Katharine Ellis who delivered me with a thriving enterprise when I arrived in Senate House in 2009. For me, it was an immense privilege to lead the IMR at an important stage in its development as it sought to establish ever-greater breadth of coverage across our diverse discipline. I was especially keen to broaden its engagement with the tremendously vibrant performance research going on in conservatoires, as well as university departments. Partly, that’s what the historical performance research centre, DeNOTE was for, though its presence has since transformed into a period-instrument group performing across the UK and now with several commercial recordings released, giving broader impact to the IMR’s work outside of an HE setting. I should also pay tribute to Sir Nicholas Kenyon (a patient and wise Chair of the Advisory Council throughout my tenure, and since); to the support and vision of Sir Graeme Davies (former Vice-Chancellor of London University) and Dame Janet Ritterman (IMR Advisory Council) who appointed me to the Directorship; to Valerie James, the IMR’s Administrator until 2014, to whose dedication and administrative flair British Musical scholarship owes a tremendous debt; and most of all to the former Acting Dean of the School of Advanced Study, Professor Mike Edwards, whose genuine and sincere understanding of and love for the Humanities – and the central place of Music within them – was everything that one could wish for as an Institute Director. Mike’s vision and support for the role of the IMR when he was Dean actively encouraged the Institute to grow, and not to be afraid to experiment with new ideas. Under his leadership (until 2010), SAS had its priorities right: financial stewardship wisely deployed as an enabling tool to foster excellence across a diverse range of the humanities and social sciences in a spirit of cooperation and mutual respect, rather than as a divisive weapon. I am absolutely delighted that a new and better way forward has been found for IMR. I now look forward to its future – serving as a member of its Advisory Council – confident that, with a return to enlightened and humane values, it will once again flourish. I’m looking forward to spending several days at the Cini Foundation in Venice next week. Set on the island of San Giorgio Maggiore, the Cini Foundation (http://www.cini.it/en/foundation) hosts a wide range of cultural events, symposia and research projects. Cini also has two working pianos from the late 18th/ early 19th century, a 1787 Longman & Broderip Square, and a Jakesch grand from 1823. These are my main reason for going. I’ll be filming some footage about these pianos for the Cini’s webpages and giving a Haydn recital at 6pm on Friday 10 July (using the Jakesch grand). These pianos (which I encountered during a previous visit last November to perform Beethoven and Mozart Violin Sonatas with Davide Amodio) are among the unsung treasures of the CIni’s collections, and it is a real privilege to be involved in – hopefully – making them better known. HAYDN Sonatas in A flat (Hob.XVI:46); in B minor (Hob.XVI:32); in G (Hob.XVI:40); in E flat (Hob.XVI:49).